Cass Sunstein reviews Jeremy Adelman’s new book, Worldly Philosopher: The Odyssey of Albert O. Hirschman. Jim Gordon shares some good words from Nicholas Lash about teaching and learning. Travis McMaken is trying to get people to read Sallie McFague’s Metaphorical Theology. Good luck mate! Steve Holmes shares a deeply moving post on one of Britain’s most able and likable twentieth century theologians – Colin Gunton. 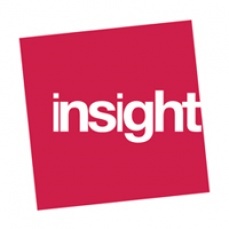 Robert Fisk reflects on some implications of Israel’s intervention in the Syrian war. Christopher Brittain on ‘the real story of growth and decline in liberal and conservative churches’. The talks from Wheaton’s conference on Christian Political Witness are now up. Celebrating Kierkegaard with George Pattison. Patrick Stokes, Hubert Dreyfus and Tim Rayner talk Kierkegaard. Matthew Wilcoxen reviews Suzanne McDonald’s latest book, Re-Imaging Election: Divine Election as Representing God to Others and Others to God. Reading about the ‘Pacific garbage patch’ made me very sad. Mark Farmaner asks, Is Aung San Suu Kyi the real enemy? 101 Unuseless Japanese Inventions is the funniest book I’ve read in ages. Jim Davila and Mark Goodacre reflect on the work of Geza Vermes, 1924-2013. I’ve been listening to some great sounds this week: Steve Earle’s latest, The Low Highway, and Hello Cruel World by Gretchen Peters. Peters’ latest DVD Woman On The Wheel came out this week. I look forward to seeing it soon. Finally, tomorrow is Uncle Karl’s birthday. How are you planning to mark it? This year’s Reith Lectures address the theme ‘Securing Freedom’. The five lectures are being given by the Burmese pro-democracy leader Aung San Suu Kyi and former Director-General of MI5, Baroness Manningham-Buller. Aung San Suu Kyi’s lectures focus on the struggle for democracy inside an authoritarian regime, and Eliza Manningham-Buller’s will consider how, once secured, a country maintains its freedom. The Canadian Radio station, CBC, also has an interview with Aung San Suu Kyi here. 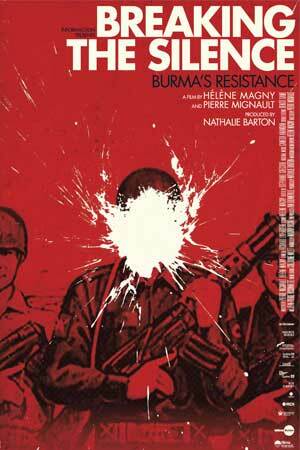 Tonight I watched Breaking the Silence: Burma’s Resistance by Canadian filmmakers Pierre Mignault and Hélène Magny. It documents the continuing resistance to Burma’s military junta by political and humanitarian activists. ‘Hope had returned and with it a new zest for life. No man can live on the stretch all the time, with his energy and willpower strained to the breaking-point, and it is a joy to be able to relax at last and loosen nerves and muscles that were braced for the struggle’. – Albert Camus, The Plague (Harmondsworth: Penguin Books, 1967), 229. I have sometimes used this blog to draw attention to the humanitarian abuses facing Karen and Burmese people, two people groups most dear to me. 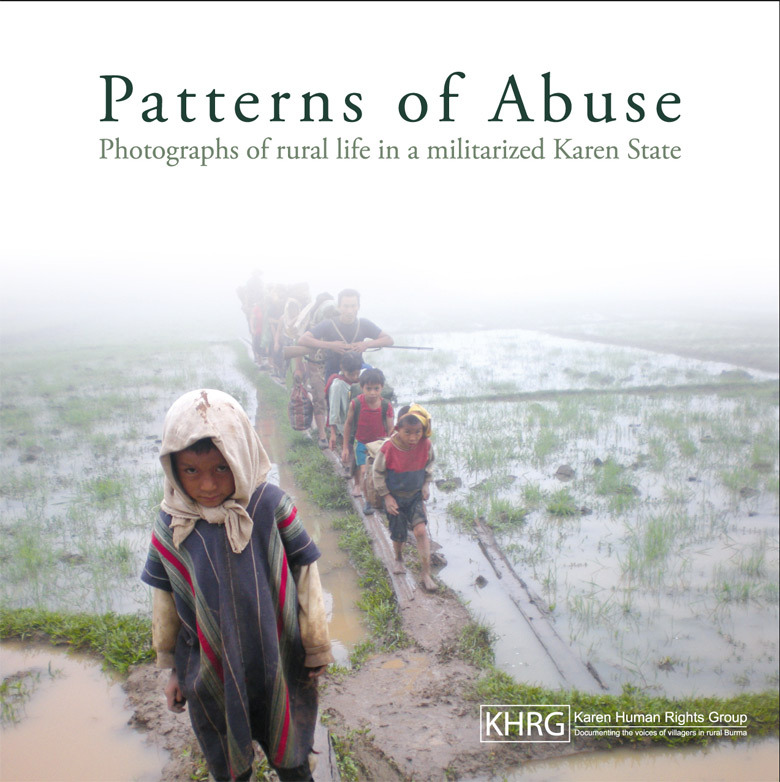 And a few weeks ago, I mentioned that the Karen Human Rights Group (whose important work focuses on the human rights situation of villagers in rural Burma) has produced a 98-page photo-annotated album called Patterns of Abuse: Photographs of rural life in a militarized Karen State. This nicely-produced book contains 125 images taken over a 17-year period and depicts life in rural Karen State. My copy of the book arrived in our mailbox yesterday, and it powerfully documents the most tragic of human rights abuses against a most resilient people living under – and resisting – one of the most oppressive and evil regimes in history. A well-written introduction presents an accurate survey of the historical and political context that the Karen face, and subsequent sections illustrate and describe village life in Karen State, life in State Peace and Development Council-Controlled areas, life in non State Peace and Development Council-Controlled areas, as well as sections on soldiers and various portraits. That neighbouring-Thailand’s welcome increasingly seems to be running dry only adds to the deep sense of anxiety that the 133,000+ Karen refugees experience, an anxiety further fed by the increasing sense of donor fatigue over a prolonged refugee crisis. Please consider purchasing a copy. All proceeds support the work of KHRG. ‘They [Myanmar’s government] know this will get the media interested. They know this this will get lots of positive publicity and that will give the excuse to governments like Germany and Spain and others that have been wanting to relax the pressure on Burma’s generals’. ‘The regime has made it really clear in their actions that they are not interested in releasing Aung San Suu Kyi. They have doubled the number of political prisoners since the monks’ uprising in 2007. While they’re very good at this kind of spin, the reality on the ground is very different … We need to look at what’s actually going on not the constant lies of the generals’. This interview (00:05:24) with Farmener on Radio Netherlands Worldwide is well worth listening to. Davey Henreckson on Charles Taylor and on Calvinists and disenchantment . Beth Doherty on Haiti and the best and worst of Christianity. Bruce Simpson asks (hopefully) whether the whole Google and China thing might be the thin end of the wedge. Thomas Bartlett on why ‘Google needs to realise that China is simply being China’. American VI: Aint No Grave by Johnny Cash – it’s a coming soon!!! 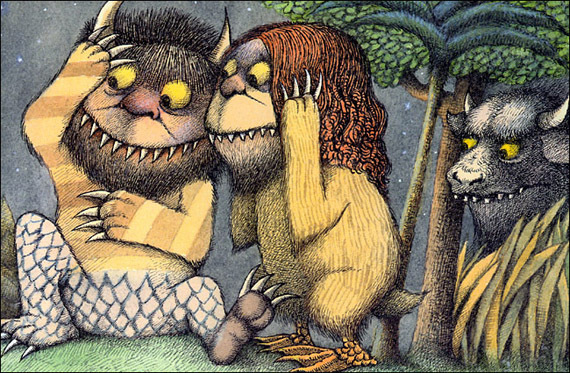 Jessa Crispin, the editor and founder of Bookslut, on ‘the predictable American response to translated literature’. Andrew Errington posts 10 reasons on ‘why I believe in infant baptism’. Robert Fisk on the never-ending exodus of Christians from the Middle East. C. Baxter Kruger on why Paul Young (author of The Shack) and Athanasius are singing from the same song sheet. The Karen Human Rights Group has produced a 98-page photo album containing 125 images of life in rural Karen State. The book is called Patterns of Abuse: Photographs of rural life in a militarized Karen State. It’s a fundraiser for a very worthwhile group, so please join me in buying a copy – or more – if you can. Ellen Davis presented her inaugural lecture as the Amos Ragan Kearns Distinguished Professor of Bible and Practical Theology on October 27, 2009, at Duke Divinity School. 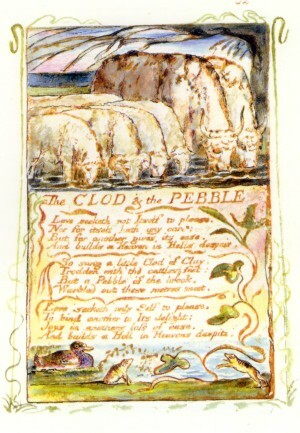 The title of the lecture was ‘The Poetry of Care and Loss’. It is available via iTunes. The Thailand Burma Border Consortium compares Eastern Burma to Darfur. Julian Bell reviews Vincent van Gogh – The Letters (now we just need Thames & Hudson to review the price!). A fascinating interview with Slavoj Žižek: ‘… it’s very easy to have a radical position which costs you nothing and for the price of nothing it gives you some kind of moral superiority. It also enables them to avoid the truly difficult questions’. Andrew Brower Latz continues his note sharing on Alan Torrance’s 2009 Didsbury Lectures (Parts I, II and III). Jim Gordon reminds us why reading Bonhoeffer is ‘like engaging in a theological detox programme’. Kyle Strobel writes about Evangelical Idolatry. 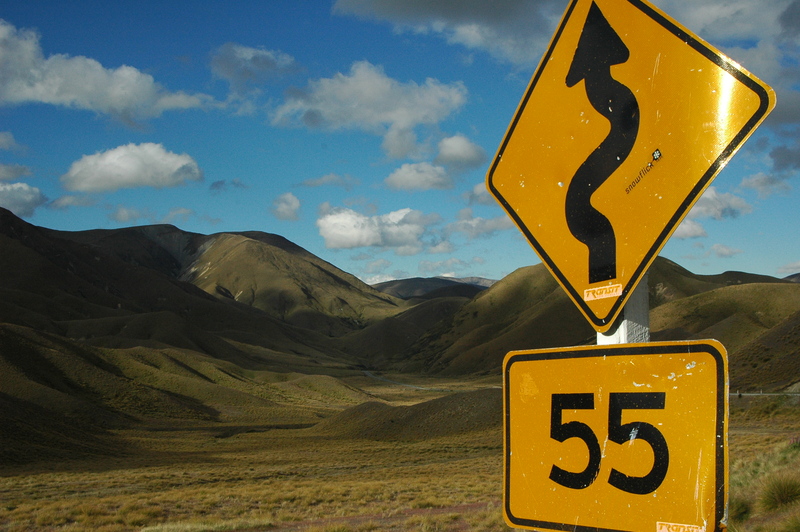 Rick Floyd posts on Lesslie Newbigin’s The Gospel in a Pluralist Society. W. Travis McMaken, on his way into his final qualifying exam in systematic theology, shares a quote from TF Torrance on modern preaching and the god named ‘existentialist decision’. Villagers in Pa’an District, Karen State, have begun fleeing to Thailand to avoid violence and forced recruitment as porters in possible a joint SPDC/DKBA attack on a KNLA camp in Dta Greh Township, located next to a now populous IDP camp along the Moei River, bordering Thailand. This news bulletin describes the events of the past four days in which SPDC and DKBA forces have advanced towards the KNLA camp and begun what appears to be preparation for an attack. SPDC soldiers have begun patrolling and have set up an 81 mm mortar not far from the site and displaced villagers living in the area have become increasingly concerned about their safety. Following the arrest of the American John Yettaw on May 5th 2009, Burma’s pro-democracy icon Daw Aung San Suu Kyi was charged with violating the terms of her house arrest, moved to Insein Prison and put on trial. The international community has responded to these events with a flurry of attention on Burma not seen since Cyclone Nargis last year. Heads of State, activists and newspaper editors have renewed calls for her immediate release. At the same time, Burma Army operations in Karen State and other rural ethnic areas along with their associated human rights abuses remain ongoing and widespread. Yet once again the situation of abuse in rural Burma has been marginalised in favour of the more high profile political drama in the country’s urban settings. In calling, quite rightly, for the release of Daw Aung San Suu Kyi, the international community must neither neglect the situation of abuse in rural Burma nor miss current opportunities to support those who face this abuse. This report presents January 2009 interviews with two former SPDC convict porters. Both men are originally from Arakan State, Western Burma, and participated in the 2007 demonstrations against the rising cost of living. These demonstrations culminated in September 2007 with the large-scale monk-led protests and subsequent military crackdown. Both men were arrested by SPDC authorities for their activities, forced to serve as porters for the Burma Army in Karen State and eventually escaped captivity. Their testimonies cover issues such as SPDC-sponsored murder of convict porters, corruption within Burma’s judiciary and systematic SPDC abuses perpetrated against prisoners. The interviews also give insight into the possible fates of other Burmese citizens who have tried to voice dissent in Burma’s authoritarian environment, whether as part of the September 2007 protests or otherwise. ‘Burmese pro-democracy campaigner Dr Aung San Suu Kyi will be given the Freedom of the City of Glasgow in absentia, at the City Chambers at noon on Wednesday, March 4. A representative of the iconic politician, Dr Thuang Htun, will accept the award on her behalf. Dr Suu Kyi remains under house arrest imposed by Burma’s military regime. Dr Htun is a representative for United Nations Affairs for the National Coalition Government of the Union of Burma. 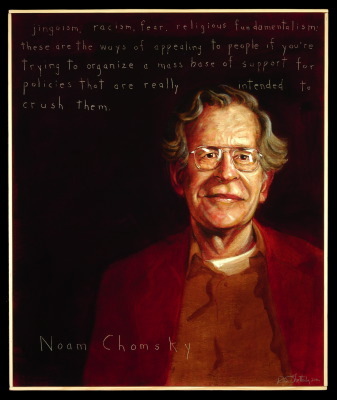 He also represents the democracy movement at the United Nations Commission on Human Rights. Lord Provost Bob Winter will present the honour to Dr Htun who will also be presented with a silver plate and a crested scroll. He will then be guest of honour at a special lunch. The Lord Provost said: “It is with profound respect and admiration for Dr Aung San Suu Kyi’s unflinching bravery that the Council has conferred upon her the Freedom of the City of Glasgow. This is tempered with frustration that she cannot be here today, in person. The Freedom of the City Award was originally proposed by Amnesty International and Glasgow Women’s Library. Dr Adele Patrick of Glasgow Women’s Library said: “As part of Glasgow Women’s Library’s ongoing efforts to celebrate, uncover, and promote women’s cultural and political achievements locally and globally we warmly congratulate Glasgow City Council’s decision to offer Dr Aung San Suu Kyi the Freedom of the City. Dr Suu Kyi is the daughter of Aung San, wartime leader of Anti-Fascist People’s Freedom League (AFPFL, assassinated 1947). She has endured prolonged periods of detention and imprisonment over the past 20 years by Burma’s oppressive regime. She founded the National League for Democracy (NLD) in 1988 and was swiftly put under house arrest with the offer of freedom if she left Burma. In 1990 the NLD won the general election decisively and once again Dr Suu Kyi was placed under house arrest. The election result was nullified by a military junta. This was also the year she was awarded the Sakharov Prize for Freedom of Thought. 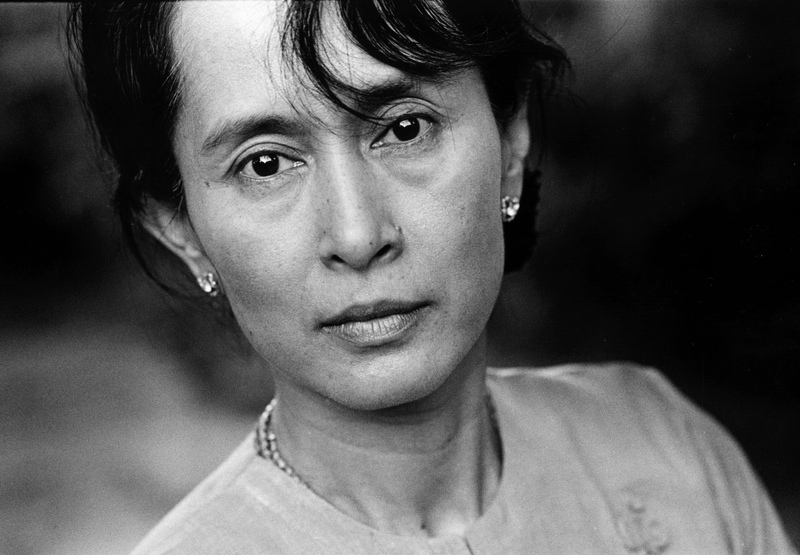 The following year she was awarded the Nobel Peace Prize and donated the $1.3 million prize money to establish a health and education trust for the people of Burma’. I recall the closing words from an album that is very fastly growing on me: ‘Choose your enemies carefully ‘cos they will define you/Make them interesting ‘cos in some ways they will mind you/They’re not there in the beginning but when the story ends/Gonna last with you longer than your friends’. ‘Twenty-four political prisoners were set free in Myanmar on Saturday after the government announced that it would release 6,313 prisoners. One of those released is prisoner of conscience Ma Khin Khin Leh, who has been the subject of Amnesty International campaigns since her arrest in July 1999. The authorities detained her because they could not find her husband, Kyaw Wunna, who was connected to a pro-democracy march expected to take place that month. Of the other released political prisoners, there were nine Buddhist monks and one nun. Some were members of Myanmar’s opposition party, the National League for Democracy. These included Dr. Zaw Myint Maung, a MP-elect who had been in prison since 1990. Another man, Zaw Naing Htwe, was released from a labour camp. Zaw Naing Htwe was sentenced to nine years in prison in December 2008 because he had received a letter from his elder brother, who was one of the imprisoned 88 Generation Students group leaders. “There are still more than 2,100 political prisoners behind bars in Myanmar. Many of them are in poor health, partly as a result of harsh prison conditions,” said Donna Guest, Asia Pacific Deputy Director. After disputes over arbitrary taxation payments and accusations of favouring the KNLA, 40 to 50 soldiers of DKBA Battalion #907 – under brigade commander N’Kaw Mway – attacked the village of Mae Gklaw Kee in Thailand’s Umphang District. Troops shelled the village tract leader’s house, shot at villagers’ houses and then burnt down villagers’ crop storage barns. The Batallion subsequently set up a camp in nearby Gklaw Ghaw village. As SPDC and DKBA troops work together in an effort to take control of the area, villagers face increased restrictions, overlapping taxation demands, and the threat of future attacks and land confiscation. On Saturday, October 4th 2008, Democratic Karen Buddhist Army (DKBA) officer Bla Nah, under the command of brigade commander N’Kaw Mway, led 40-50 soldiers of Battalion #907 in an attack on Mae Gklaw Kee village in Umphang District of Thailand (only three kilometres from the Burma border). After shelling the village tract leader’s house with a grenade launcher, soldiers shot at the villagers’ houses, shot out truck tyres and then burnt the villagers’ crop stores. After the attack, the soldiers set up camp in nearby Gklaw Ghaw village on the other side of the Burma border in Kawkareik township of Dooplaya District and are now working with nearby Light Infantry Battalions #401 and #407 of the State Peace and Development Council (SPDC) to place movement restrictions on the villagers. According to information collected by a KHRG researcher, a combination of factors seem to have led to this attack, with one of the major reasons being a refusal by the villagers (or inability) to pay the full amount of taxes demanded by the DKBA. As Mae Gklaw Kee village is located so close to the border, the villagers regularly travel back into Burma to work in their rented corn fields in the area around Bplah Doh village, close to Gklaw Ghaw village, in Maw Kee village tract of Kawkareik township. The area around Gklaw Ghaw and Bplah Doh villages is largely controlled by Karen National Liberation Army (KNLA) Battalion #201, but SPDC and DKBA soldiers also operate in the area. Other villages in Maw Kee village tract closer to the DKBA base at Gaw Lay village are largely controlled by the DKBA. Villagers are therefore faced with competing tax demands as the different military groups vie for control of the area. Corn fields farmed by local villagers have been particularly subject to these overlapping taxation demands. Each local corn field usually produces from 3,000 to 6,000 big tins of sweet corn per year and sometimes up to 10,000 big tins. Each year, KNLA soldiers demand 10 Thai baht (US $0.29) for each sack of corn – one sack of corn cobs contains approximately seven big tins of corn – from local farmers (including Mae Gklaw Kee village) or an estimated 4,286 to 8,571 Thai baht (US $123.86 to $248.06) for a field with a normal yield. However, in 2007 the DKBA also placed a much higher tax demand on the corn produced by the villagers – demanding eight Thai baht (US $0.23) for each big tin of sweet corn and 100 baht (US $2.89) for each big tin of sweet corn seed. For a normal yield, this is equivalent to 24,000 to 48,000 Thai baht (US $694.40 to $1,388.80) per field (not including the tax on corn seed). Struggling to meet the demands of both armed groups, villagers from Mae Gklaw Kee village told DKBA soldiers that they could only afford to pay them three baht per tin, as opposed to the eight baht demanded. In response, the DKBA soldiers simply increased the tax demand for 2008, asking for 15 baht for each big tin of corn, approximately 45,000 to 90,000 baht (US $1,302.07 to $2,604.13) for a normal yield field and 150 baht for each big tin of seed. The villagers knew they would be unable to pay this amount following the harvest (which usually starts in October) and, the village tract leader reportedly referred to DKBA soldiers as ‘dogs’ for placing such demands upon the villagers. This apparently angered commander N’Kaw Mway and prompted him to call for the attack upon Mae Gklaw Kee village. At this time, the villagers had not paid any tax to the DKBA for 2008, as the harvest was not yet completed. A KHRG field researcher also noted the villagers’ support of the KNLA as another reason for the attack and the Bangkok Post referred to a ‘brawl’ between DKBA soldiers and local teenagers from the village in September as another motive for the attack. Since the attack on Mae Gklaw Kee village, SPDC and DKBA soldiers have been restricting the movements of villagers in the area around Gklaw Ghaw village in an effort to take control of the area away from the KNLA. In the past, KNLA soldiers have ambushed and attacked DKBA and SPDC soldiers operating in the area. However, although KNLA soldiers remain in the area, they have not yet attacked the new DKBA camp at Gklaw Ghaw. KNLA soldiers claim that they are currently hesitant to attack the camp at Gklaw Ghaw for fear of creating more problems for the villagers, after a recent spate of retaliatory actions by SPDC and DKBA soldiers against villagers for such KNLA attacks – such as the burning down of corn storage barns in the area. Villagers in the surrounding area therefore face increased restrictions imposed by the SPDC and DKBA soldiers based at Gklaw Ghaw, as soldiers try to clamp down on any possible communication between villagers and the KNLA. In Gklaw Ghaw village itself, civilians have been forbidden to travel outside of the village, even for work or trade, and have also had their mobile phones confiscated. Villagers in Mae Gklaw Kee have currently been able to remain in their village with increased security from Thai authorities, but still live with the threat of further attacks and the future of their corn field farming remains uncertain, given the increased troop build-up by SPDC and DKBA forces in the area. DKBA soldiers have had a record of imposing arbitrary taxation demands upon villagers, with other villages in the area having faced similar problems to Mae Gklaw Kee. In another incident in 2007, DKBA soldiers succeeded in extorting more than the original eight baht per big tin of corn demanded, by pretending that they were also collecting tax for the KNLA. In this way, villagers from Gaw Lay, Htee Ther Lay and Oo Poe Hta villages (all also located in the large Maw Kee village tract in Kawkareik township) were forced to pay ten baht per tin of corn. Villagers have also been threatened with land confiscation for KNLA use of landmines. On October 6th 2008, DKBA Battalion #907 officers Muang Shwe Wa, Kyaw Pa Pu and Bo Kyaw Kyaw summoned village heads from Ler Gaw, Lay Ghaw, Oo Poe Hta, Oo Gray Hta, Wa Mee Hta, Maw Ker Hta and Gaw Lay villages to meet with them at the DKBA army camp in Gaw Lay village, where brigade commander N’Kaw Mway is based. During the meeting, the DKBA officers reportedly told the village heads that if any DKBA soldier in the area should step on a landmine planted by the KNLA, they would take away all of the lands owned by the villagers. With money to be gained from agriculture, logging, mining and taxes upon villagers, the DKBA and SPDC are keen to gain control of this border area. As the various armed groups vie for control of village tracts on both sides of the Thai-Burma border (in Dooplaya District on one side and Umphang District on the other), villagers face competing demands for taxation on their crops, increased restrictions on their movement and communication, and the increased threat of attacks and land confiscation by the SPDC and DKBA. The State Peace and Development Council (SPDC) is the military junta currently ruling Burma. A ‘big tin’ is a local measurement of approximately 2 litres or 4.5 gallons in volume. “Karen fighters attack village”, Bangkok Post, October 5th 2008, accessed athttp://www.bangkokpost.com/051008_News/05Oct2008_news12.php on October 9th 2008. Villagers were previously able to use Thai mobile networks to communicate with other villages in the area and in Thailand due to the proximity of the border, but are now unable to do so. In a developing move, detained pro-democracy leader Aung San Suu Kyi refused to accept a food delivery to her home one week ago, according to the exiled National League for Democracy – Liberated Area. The exiled group released a statement on Monday saying that Suu Kyi has refused to accept food from members of her party for nine days. Last week, Aung San Suu Kyi cancelled two scheduled meetings with United Nations Special Envoy Ibrahim Gambari during his visit to Rangoon. Observers said that Suu Kyi’s refusal to meet with the UN envoy showed her disappointment with his failed attempts to broker a solution to the country’s decades-old political standoff. Aung San Suu Kyi has been under house arrest for 13 of the past 19 years. During most of this time, her food has been supplied exclusively by her colleagues. Min Ko Naing (Paw Oo Tun): now more than 17 years total detention, Jimmy (Kyaw Min Yu): total detention more than 15 years, Mya Aye: a total of more than 8 years in detention, Ko Ko Gyi: a total time in detention of 14 years and 8 months Kyaw Kyaw Htwe (Marky): nearly 13 years in detention Arnt Bwe Kyaw: over 9 years in detention Pyone Cho: total of over 16 years in detention, Min Zeya: total of 7 years and 5 months detention Nyan Lin: a total of 7 years detention Ko Zeya: over 13 years and 7 months in detention Panneik Tun: a total of 8 years detention Zaw Zaw Min: a total of 1 year and 1 month detention Thet Zaw: already served a total of 10 years and 4 months. These arbitrary arrests are part of an ongoing systematic persecution of activists, both social and political, by the Burmese Junta. In the last year there have been around 900 arrests of activists, some for things like helping the relief operation following Cyclone Nargis. 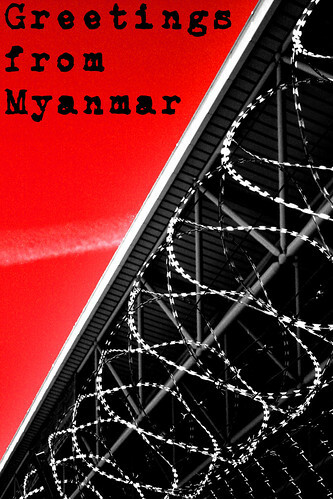 Currently there are at least 2092 Political Prisoners being held in detention across Burma. Political Prisoners in detention suffer massive hardships, inflicted on them systematically by the authorities, including severe physical and psychological torture, many interrogations, starvation, malnutrition and many different and serious health problems due to the conditions they have been held under. They also suffer prolonged and unlawful detention, no access to proper legal counsel, no free or fair trials and a methodical intrusion into their lives by the Burmese authorities, and those of their families and associates, both during their detention and throughout the times that they have been released. Due to this treatment throughout their years in detention, all Political Prisoners develop weak health, and are susceptible to illness. For example: Hla Myo Naung (member of 88 Generation Students Group, held in Insein prison, arrested at eye clinic, now awaiting sentence) has already lost the sight in one of his eyes and his other eye will also soon be blind, due to the neglect of the authorities in not providing proper medical treatment. The current situation of the above 13 student leaders, arrested this time last year is that they have not seen a lawyer since their detention, and some of the charges under which they were first arrested have been changed. Some of them and their family members are not sure under which charges they are being held. None of them have been brought before a court of any kind, or been subject to a trial. None of them have been sentenced. 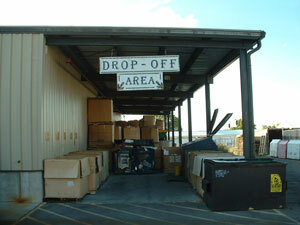 Some are suffering from severe health problems and have not yet received proper medical treatment. Among the most urgent cases are Ko Min Ko Naing, whose eyesight is failing, has some serious health complications with his heart and has pain walking due to a problem with his foot and Ko Mya Aye is suffering from heart disease. Including the last year, the 13 student leaders listed above, have served a total time in detention of 140 years and 1 month so far. That is enough. AAPP pays tribute to these Activists for their service to their country, their total commitment, creativity and strength in the face of a brutal military regime. AAPP strongly condemns the Burmese regime, who acts with impunity, for their systematic persecution of these activists. They have suffered these abuses because of their outspoken belief in human rights, their love for their country and their determination to replace military dictatorship with democracy in Burma. This Friday, 8 August, marks the 20th anniversary of Burma’s biggest ever democracy uprising when hundreds of thousands of people across Burma bravely marched through the streets demanding an end to military dictatorship. Soldiers fired on crowds of unarmed protesters, killing thousands. Today there remain over 2000 political prisoners in Burma, many subjected to brutal torture and denied medical care. Opening ceremony to unveil a glass monument to political prisoners in Burma. Free entrance. Refreshments will be provided. To commemorate 8th August 1988, the Burmese community has organised a bike ride in London from Queen Anne’s Gate, St James’s Park to Speakers Corner, Hyde Park Corner. Details: Meet at 1200 at Queen Anne’s Gate entrance of St James’s Park. Nearest tube: St James’s Park (District & Circle). The ride will conclude at Hyde Park Corner at 1400.